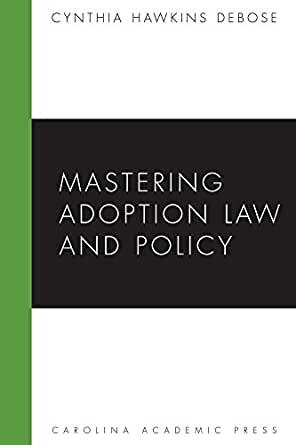 Mastering Adoption Law and Policy (Mastering Series) - Kindle edition by Cynthia Hawkins DeBose. Professional & Technical Kindle eBooks @ Amazon.com. Cynthia DeBose is a Professor of Law at Stetson University College of Law. Great book. I am currently using this in an Adoption Law class and so far it is very informative and a great read if you're interested in adoption.